Streaming audio provider Pandora has launched the spring installment of its ‘Sound On’ brand campaign, designed to inspire listeners to discover the unique sounds that transport them from winter hibernation to spring exploration. Additionally, Pandora has unveiled its first sonic logo, a unique audio signature that harnesses the power of sound to create an original, consistent brand experience across multiple audio touchpoints. 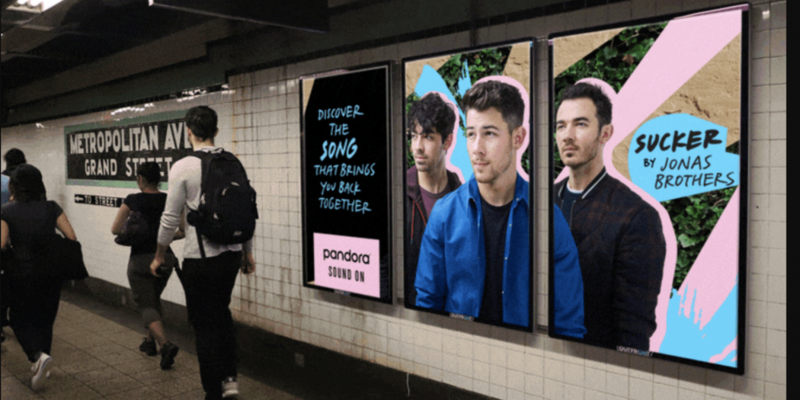 The multi-channel campaign will run in six markets for 12 weeks and feature some of the season’s top artists, including the Jonas Brothers, Maren Morris, Bebe Rexha, Khalid, 2 Chainz, John Legend and Becky G.
This rollout marks the second iteration of Pandora’s seasonal ‘Sound On’ campaign, which kicked off last year during the holiday travel season.